BIG NEWS! Sunbeam was nominated for TWO different awards this year at the Cool Venue Awards with Prestige Events and we won the COOLest Conference Centre ! Thank you to the events community for your support and we are incredibly pleased to have received this honour. The Cool Venue Awards is the biggest night for the events industry and we were nominated for both COOLest Conference Centre and COOLest Historic Venue. 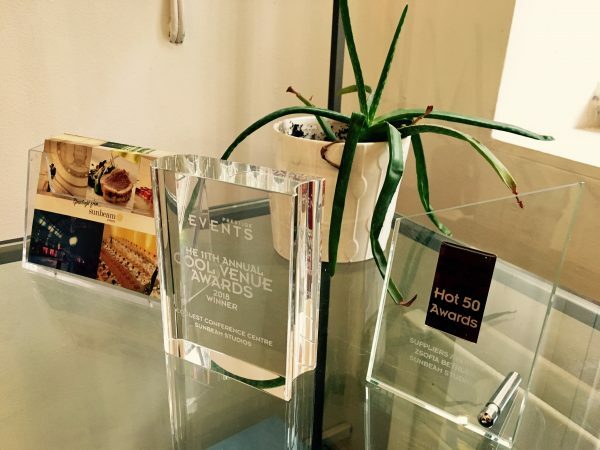 Prestige Events, hosts of the Cool Venue Awards, host several networking events throughout the year for hundreds of buyers and sellers in the industry all across London venues and reward the community with annual awards evenings, including the Cool Venue Awards and the Hot 50. We had a fantastic evening contacting with our fellow #eventprofs !